Online shopping has become all the rage nowadays, and with good reason! You can access a plethora of brands and the beautiful products they have to offer. All this within your reach with just a click! I don't know about you, but the online shopping world seems like a happy magic place to me, and if I have coupons for various discounts, ah! what could be better than that? :) Imagine having a variety of coupons, spanning different shopping portals, different brands, everything, neatly categorized for you, waiting for you to pick them up and use them to your benefit. Sounds convenient, doesn't it? That's where Zoutons steps in to pamper that discount queen in you! Collegedunia Review: Your Complete Guide to Colleges, Courses and Exams! When you are about 5 and admitted in a school, you are pretty much sorted for the next 10-12 years of your life. Right? Unless of course you have to change schools midway...that is a different story altogether. The next important stage in every student's life is going to college. Actually, when I think about it, finding a good college is of utmost priority. You always want the best you can get - A good college, a good course, a good campus and so on. I remember back in the day, when there wasn't much information available online, and one had to personally visit most colleges, to get an insight and information required. Of course, it was not possible to visit each and every college related to your course, all over India, and ultimately, you were bound to miss out on some. Who remembers running around from one college to other, trying to cover as many as possible? Standing in long queues for forms and brochures? Can I sense a nod from you? Here, is CollegeDunia, to make life a lot more easier for you now. It gets you information about all top colleges and institutes in India, covering over 12,000 colleges and 7,000 courses on the portal. Your skin is the biggest organ your body has, and it's also the only one that is on the outside instead of the inside. That leaves it very susceptible to damage from the weather, too much exposure to the sun, and all of the chemicals you are around in your lifetime. Between that and the fact that levels of natural cellular protectors like collagen and Human growth Hormone (HGH) drop off with age, it's no wonder that skin problems can increase as you get older. That's why skin treatments like Dermaroller are so important. In today's busy schedule even shopping has become a huge task. Where is the time? And the energy required to hop from one store to the other, trying out dozens of outfits only to pick one? No way I have that amount of stamina after a day's of work! Now, is the age of online shopping. And making this whole experience better is Craftsvilla - "a marketplace to "Discover Unique Indian Products" including Handmade, Vintage, Ethnic, Organic and Natural products from India." I’ll let you in on a secret people; the elixir of radiant beauty could be lurking in your barbecue! Don’t give curious sighs yet, read on! There is an increasing user and fan base for a new, (well, shall I say repackaged and revamped), trend that has taken the grooming and wellness industry by storm. The stuff I am talking about is charcoal and grooming products infused with charcoal, from shower gels to face masks and even toothpastes have taken us by storm. The times were prehistoric and our ancestors followed the unusual practice of eating charcoal. Native Indians consumed charcoal mixed with water as a cure for ailing tummies and the aborigines have been known to use this for wounds. Egyptians, back in 1500 BC, used charcoal to treat decaying wounds and intestinal disorders. Hippocrates and Pliny, recorded in 400 BC, the use of charcoal to treat a variety of diseases including epilepsy and anthrax. The therapeutic wonders of charcoal are because of its ability to physically trap other substances. Charcoal can bind to other compounds including various toxins, organic materials, gases, and even microorganisms thereby rendering them inactive. Although the feel and look of charcoal is solid, it is primarily a carbon skeleton possessing a labyrinth of microscopic pores and tunnels. Once applied, charcoal binds with the toxin particles forming a stable toxin-charcoal complex. Since the pores safely conceal the foreign particles, they do not get a chance to harm our tissues. This in turn prevents enzymes reacting upon the toxins thus eliminating the risk of poisons being metabolised and harming the liver tissues. Don't even ask how we have been managing blogging and work. Smriti is in her final year of med school and I have exams for my masters degree just around the corner. Of course, the blog is suffering a little, but we are trying it post as much and as often as we can. 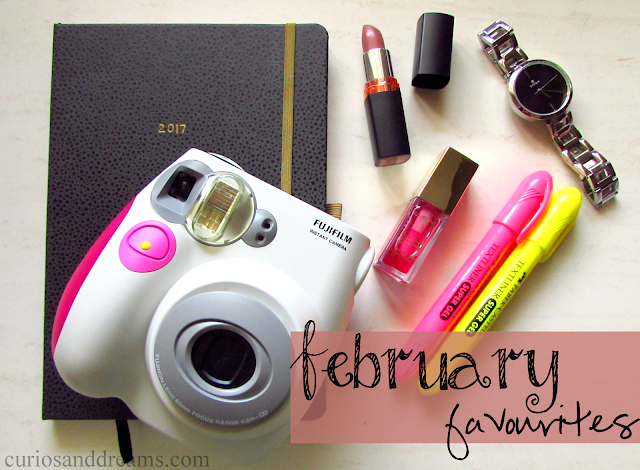 So here is, a wee bit late, the January Favourites! What are the perks of being a beauty blogger? (besides justifying all the products you buy? :D) Sometimes, you get to try a couple of products before they hit the market! A while back we had shared the My Island Kiss Lip Moisturizers with you all. Pureto berry blush stilll remains a favourite of ours and I think Smriti is currently using their Cherry Blossom variant. 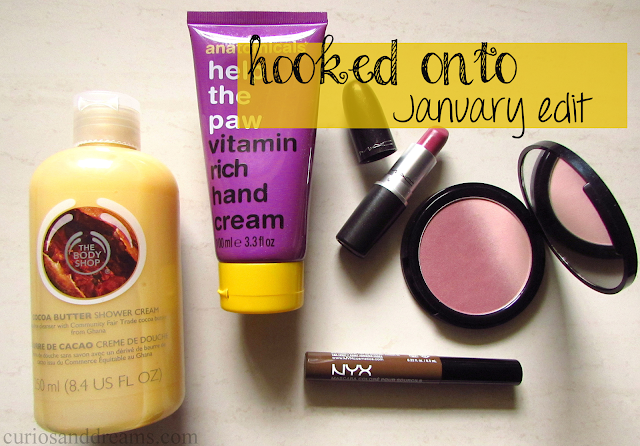 The first week of Feb/2017, saw the launch of 2 new Lip Moisturizer Stains - Flamingo & Pink Peonies, Black Rose & Grenade Rouge from the brand and we couldn't have been more excited to try them out! Take a look to know which one is our favourite..! Babies indeed hold some magic dust; their presence is enough to transform the mood and feelings around you. These precious tiny tots deserve to be loved and pampered. Their arrival itself is a celebration. This celebration to welcome the cherished life into our lives is often marked by several gifts and the most popular among them is jewelry. Most popular baby jewelry selections are primarily accessories like bracelets and anklets, although some parents have their heart set on necklaces and pendants, others can’t wait to buy their baby his/ her first pair of diamond earrings. Also, buying jewelry comes easy with e-retailers like CaratLane. Buying jewelry has become not only convenient; but also, authentic, as most sites also provide gold purity certificates. Some of the best-suited jewelry options for your little ones are. Since the past year or so I've been suffering from significant hairfall. I don't know if it is part of a normal cyclical turnover of hairs, or because of my amazingly skewed diet and deficiency of nutrition, I have been running from pillar to post in an attempt to rescue myself from baldness! My arsenal includes castor oil, olive oil, coconut oil, Patanjali's Kesh Kanti oil, rosemary essential oil, a couple of deep conditioners, and the latest is this revitalising serum by Aroma Magic. Unlike the other treatments which have to be washed off, this is something I can leave on my scalp post-shampooing and be assured that it is nourished.